Sample mind maps created in ConceptDraw MINDMAP that demonstrate the different capabilities and applications of the program for business, personal, or education use. 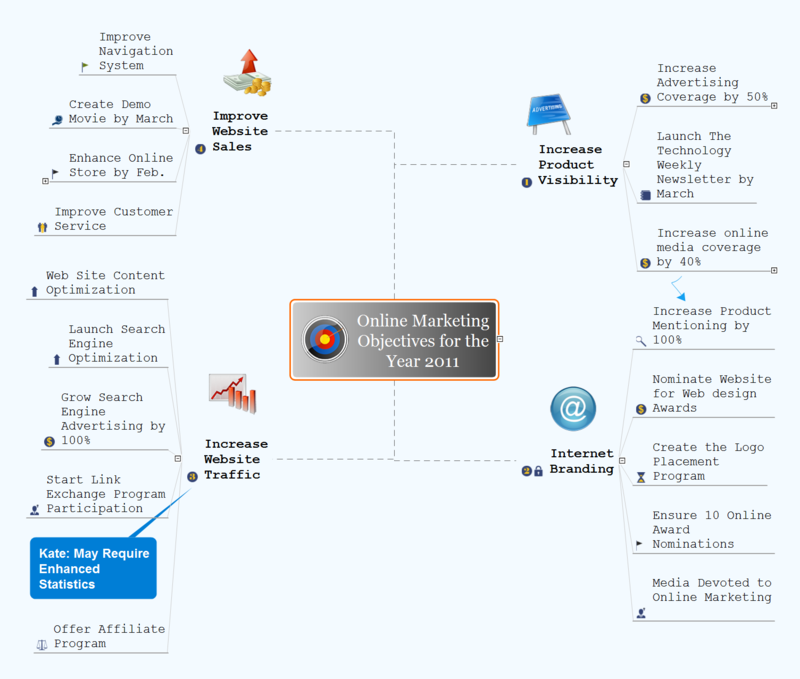 Mind map specifying various online marketing objectives for a company with specific targets outlined for each objective. Enhance Online Store by Feb.
How to use mind map for developing scripts. An easy way to arrange information using Evernote and mind map. Making daily plan become more convenient with this integration. ConceptDraw MINDMAP v10 and Evernote has a multitude of options for users — you can save any part of a mind map: including topics, branches, and entire maps to your Evernote. Mind map template for organizing various elements required for planning a business.